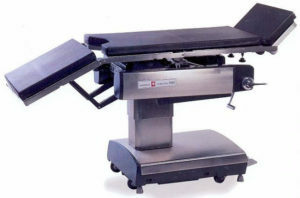 Skytron 5001 Operating Table | Refurbished. 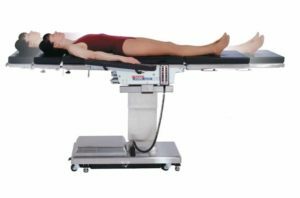 This Completely Refurbished Operating Table is a multi-purpose surgical table with a 400 Lbs weight capacity (in normal position). 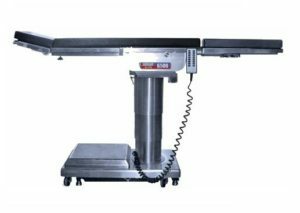 Features include wired hand control, 180º tabletop rotation, and C-Arm compatibility. 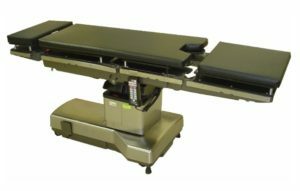 The Skytron 5001 Surgical table: This C-Arm Compatible Table Top is a multi-purpose operating table and a great choice for almost any surgical settings. 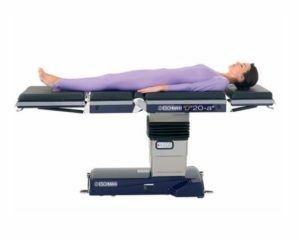 Also features Manual (foot pedal) floor locks and includes Wired Hand Control, North American Side Rails Fit Most Accessories, and New Pads. See tabs for more information.